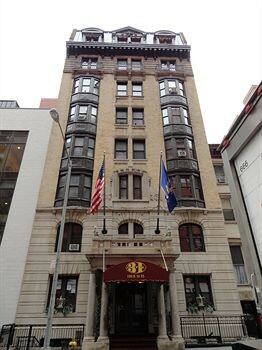 Property Location A stay at Hotel 31 places you in the heart of New York, minutes from The Morgan Library and Museum and close to Empire State Building. This hotel is close to Macy&apos;s and Grand Central Terminal.Rooms Make yourself at home in one of the 80 air-conditioned guestrooms. Complimentary wireless Internet access keeps you connected, and satellite programming is available for your entertainment. Bathrooms have complimentary toiletries and hair dryers. Conveniences include phones and irons/ironing boards, and housekeeping is provided daily.Rec, Spa, Premium Amenities Make use of convenient amenities, which include complimentary wireless Internet access and concierge services.Business, Other Amenities Featured amenities include express check-out, a 24-hour front desk, and multilingual staff.